Your beach house. Just steps away from Craigville Beach. Bright and airy beach house interior with open floor plan. Outdoor Shower and garden shed with beach chairs, yard games etc. 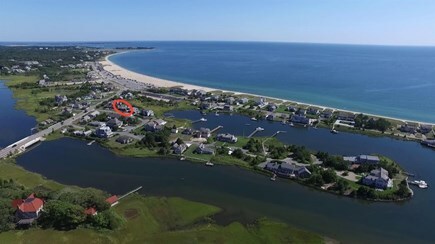 Just steps away from the famous Craigville Beach. 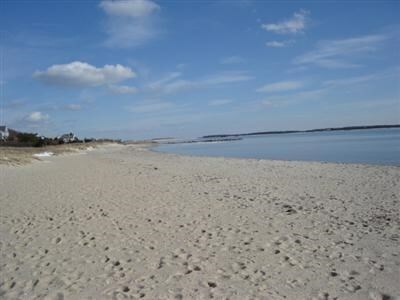 Walk for hours on extensive & family friendly Craigville Beach. 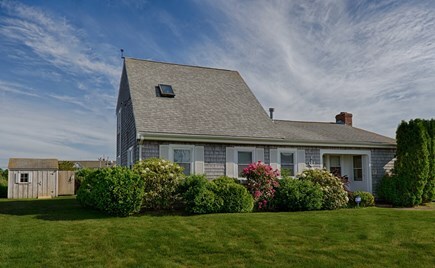 A real old-fashioned Cape Cod vacation awaits you at this quintessential beach house just steps from Craigville Beach! 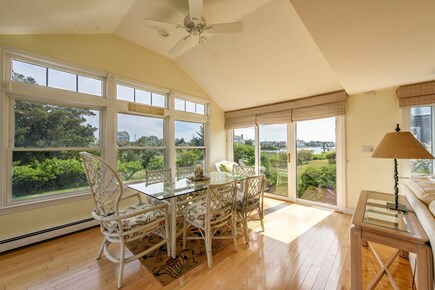 Sweeping views from this lovingly restored, Cape-style, year-round beach house. Walk to Centerville village and Four Seas Ice Cream. 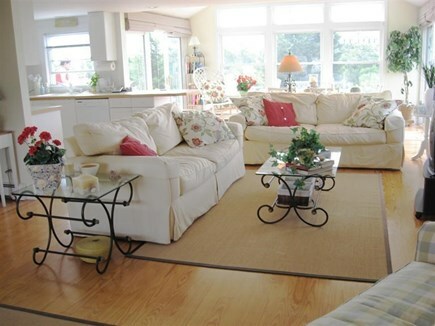 Home has been professionally decorated with seaside cottage flair. The attention to detail in this home is centered around the comfort and convenience for our guests: your rental includes fully stocked kitchen tools including lobster pot, spices, dishwasher and microwave; hotel-quality linens and towels (we even provide beach towels); premium cable tv with three flat screen televisions; WiFi; washer / dryer; brand new gas grill on the back deck; and wall-mounted hair dryers in each of the three baths -- the downstairs queen master and the upstairs king master are en suite. We even provide a tandem kayak complete with life preservers of all sizes for launching at the nearby public ''way to water'' just two doors down. 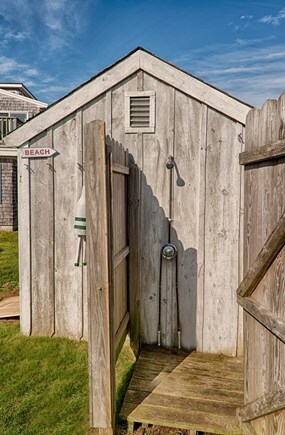 And, of course, nothing says ''Cape Cod Vacation'' like an outdoor shower! 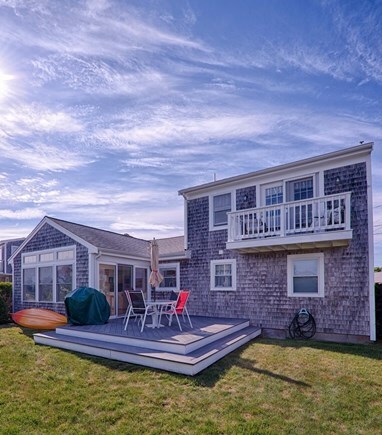 Wake to the sounds of ocean waves, and enjoy your morning coffee on the 2nd floor balcony with sweeping views of Nantucket Sound in this wonderful 3 bedroom 3 full bath home. As your hosts, we appreciate the fact that this vacation is important to you and your family. 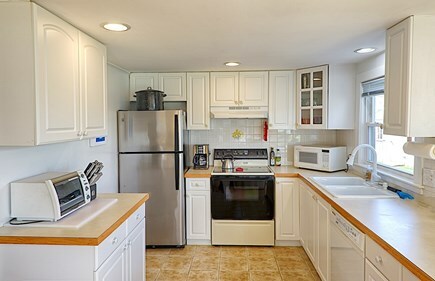 That's why we have thought of every possible detail while renovating and furnishing this property to make your Cape Cod vacation an enjoyable one. 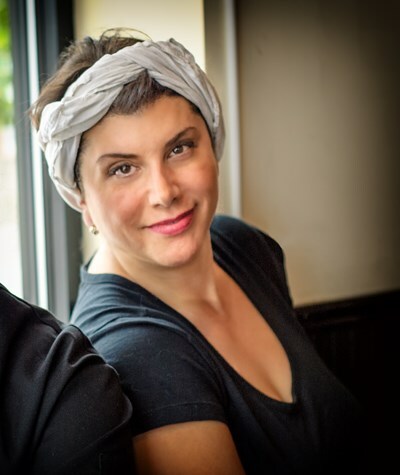 We take pride in the integrity of our properties, their furnishings, and maintenance. 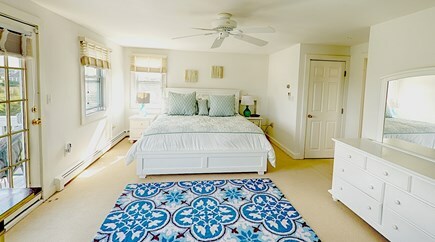 Whether you stay in one of our Cape Cod beach houses, Adirondack rustic cabin, or Midtown Manhattan condo, charm, cleanliness, and attention to detail are evident everywhere. All that's left to you is to arrive, relax, and enjoy! 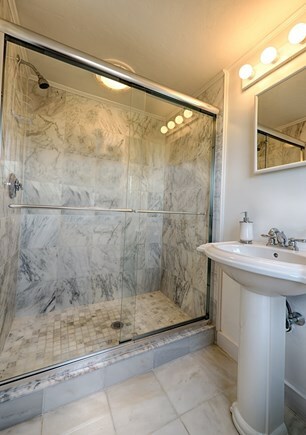 This property is lovingly professionally decorated and pristine. 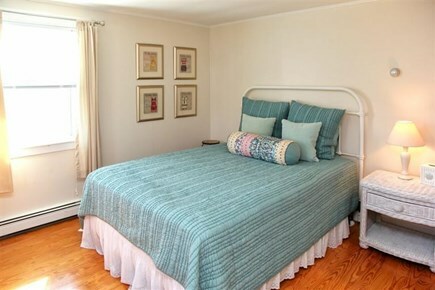 It provides a luxuriously comfortable vacation stay with attention to every detail. The warm waters of Craigville Beach on the Nantucket Sound are second to none on Cape Cod. 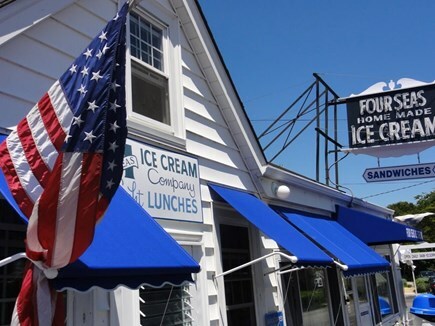 After a day at the beach, enjoy the best homemade ice cream in the world at Four Seas in Centerville -- just a short walk up the street. 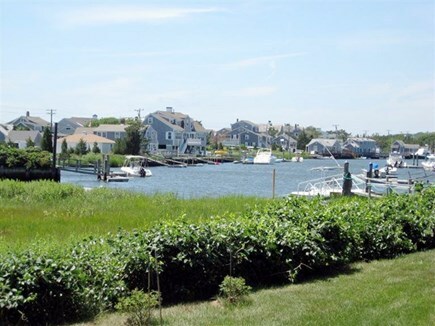 Fishing and Blue Crabbing is also plentiful in the Centerville River. Bring your kayak and launch from the public Way to Water on the Centerville River just two doors down form this property, or fish from the crabbing bridge, again, just a few steps away. Enjoy historic Centerville for a real, old-fashioned Cape Cod vacation while having all of the restaurants and shops of downtown Hyannis just a short few minutes drive away.